Everyone says what country is this, it is not a place to live, there is no future here. I will say, to the contrary, our country is a good one, where there is future, and there are economic prospects. 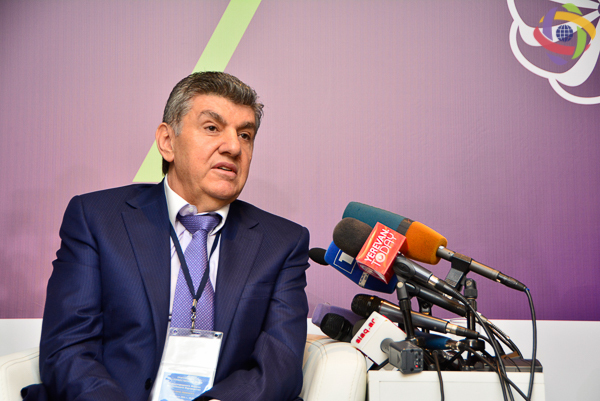 This is a statement made by the president of the Union of Armenians in Russia and the initiator of the International Forum of Eurasian Partnership Ara Abrahamyan in the framework of an interview with journalists at the First International Forum of Eurasian Partnership. -We have to change our way of thinking, our ideology. I understand that the economic situation is very bad, people from rural areas need help. But this does not mean that we all collectively have to say that this country is not a place to live, he said, adding that we all must act in a united manner. According to him, it does not matter who organizes such Forums, what matters is the effectiveness of such events, the idea. – Let them come and organize, I myself will participate and help as much as possible, – he added. Speaking about Armenia’s first President Levon Ter-Petrosyan’s statement on the economic catastrophe waiting ahead of our country, he noted that everything is possible if we don’t act united. – We can quickly recover the economic potential of Armenia. We can take the country five steps ahead. There are problems, let’s try to solve them together,- he said. Answering the question whether the Forum can attract investments in Armenia, Ara Abrahamyan said that there are number of internal and external problems that need to be solved. – We must create conditions for investments. I believe in the potential of the new government, in the capabilities and approaches of the new Prime Minister. However, in order to ensure rapid economic growth we must demonstrate unity, using also the potential of the diaspora,- added Mr. Abrahamyan.